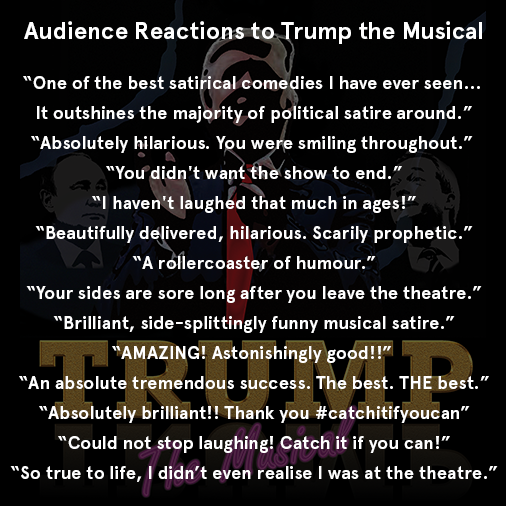 "Like Spitting Image without the latex and with much better songs... Full-on political satire that doesn't take itself seriously... massive talent, wit and ingenuity... very fast and clever comedy." "Outrageously good... a riotous two hours of near-the-knuckle comedy every bit as grotesque, brazen and bombastic as its scarcely plausible targets." "Political-comedy with plenty of bite... like an episode of the Thick of It, only laced with LSD." "Squeezes out every last sweetness, sourness, bitterness and zest from its protagonists' plentiful juicy foibles and flaws."